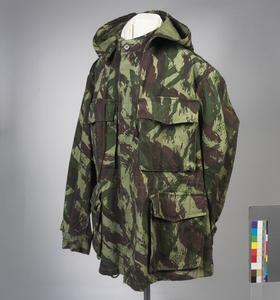 jacket & hood single-breasted collarless combat smock with four bellows pockets and fitted detachable hood. 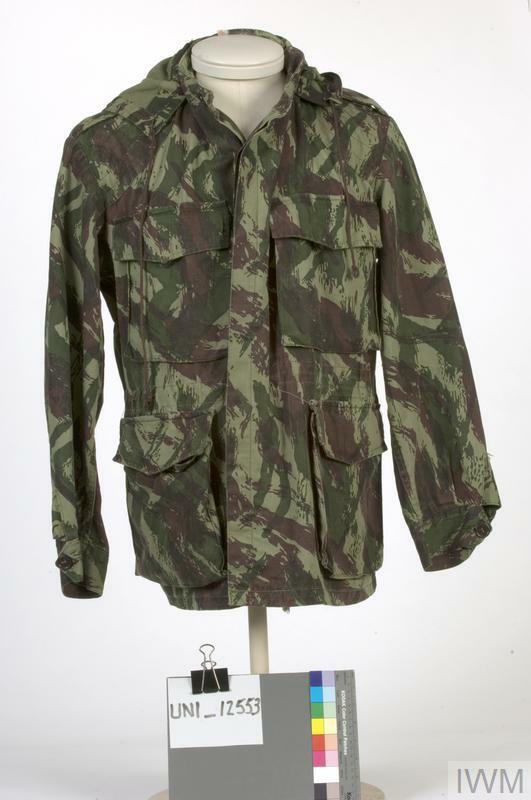 The smock and hood are made of lightweight herringbone twill material and printed in a Portuguese version of the French 'Lizard' pattern, being broad brush strokes of dark brown and dark green overlaid on light green. 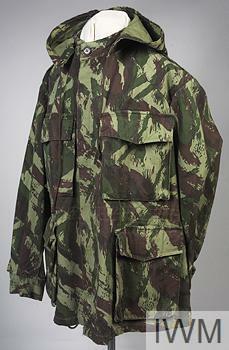 The smock is fitted with epaulettes and has reinforcing patches of material sewn to the shoulder and elbows. The hood is attached to the smock by four plastic buttons sited around the base of the 'crew necked' collar. A length of brown cord runs through the hood allowling it to be tightened by the wearer. A similar off-white cord runs through the waist of the smock. 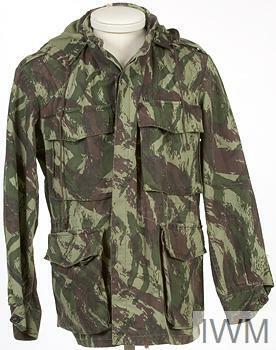 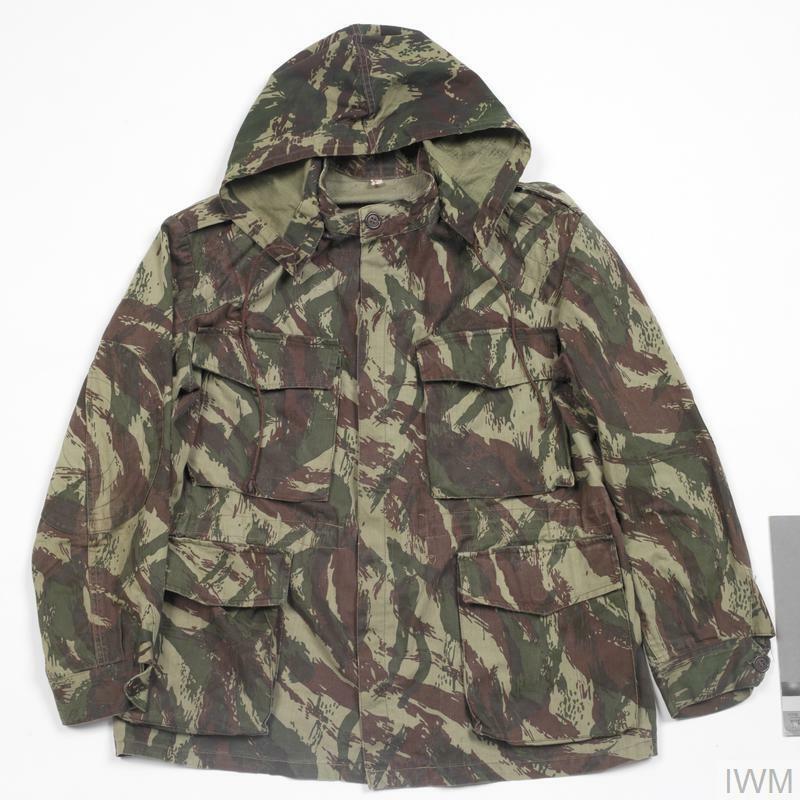 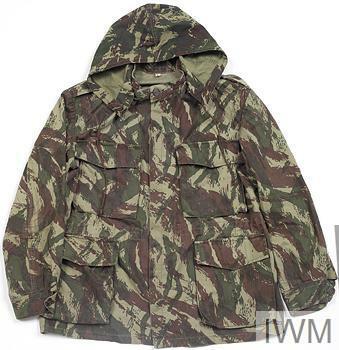 Portugal first adopted camouflage uniform clothing in 1960; initially used by the elite Rifles Battalion; universally issued from 1963.